More and more I am discovering a lot of restaurants in Chicago that have a bit of an experimental edge to them. It seems that these restaurants are popping up as a result of chefs who are of a certain ethnicity studying culinary arts in countries far away from their native lands. One such restaurant that comes to mind is Sushi Samba Rio. There is a blend of Brazilian and Japanese in the food, but I have a feeling a chef who grew up in São Paulo or who had been there is responsible for that creation. There is a very large Japanese population in São Paulo. Another restaurant with a blend of two very different cultures is Vermilion, which marries Latin and Indian flavours. 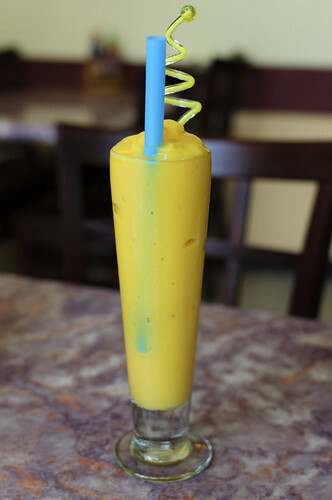 A third restaurant to add to the list is Pasteur, at 5525 N. Broadway Street in Chicago’s Edgewater neighbourhood. 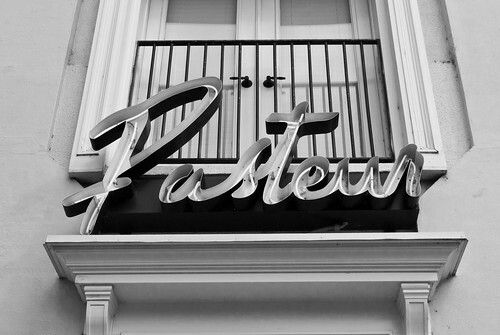 Pasteur is a Vietnamese restaurant that has a French influence in the recipes. While wandering around in Edgewater, my stomach was doing the usual growling. As it turns out, I was passing by a building that had a façade blending chi-chi and European. In the window – lo and behold – was a menu. That meant that there was food and I was standing in front of a restaurant. Imagine that. After a brief perusal of the bill of fare, I entered an amazing room that definitely had a rustic European feel to it. Having arrived shortly after the doors had opened for business, I had the pick of seats in the empty great room. I told the server that I was pescatarian, didn’t have any food allergies but HATE NUTS, requested two appetizers, a soup, and an entrée, and told him to surprise me. I pulled my camera from my camera bag, took my white balance, and exhaled as I waited. This is my routine. In addition to my little personal preamble, a group of four came in and sat at the table IMMEDIATELY NEXT TO ME. This whole “sit next to Gino when the restaurant is EMPTY” thing is starting to get tiring. Nevertheless, I injected myself into their conversation. (Sigh) They didn’t mind, but rather enjoyed it. I started with a spring roll. 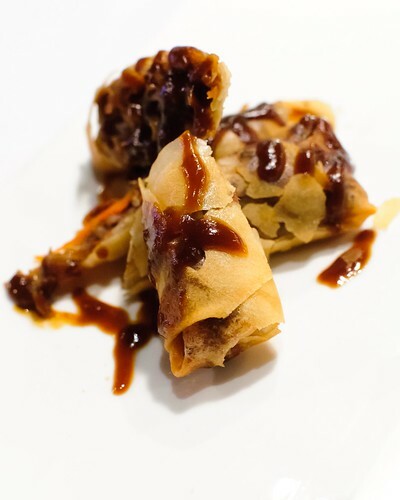 This was not just your ordinary spring roll, but one with sugar cane for the main ingredient. When I was a kid, sugar cane was a delicacy that I enjoyed throughout the summer much the way kids nowadays gobble dangerous snacks of chips, cookies, and pop to excess. 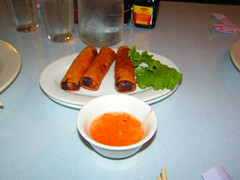 The spring roll was made with a ground shrimp paste wrapped around the sugar cane and then grilled. 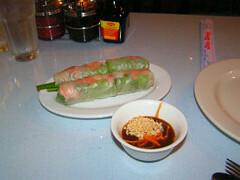 It was served with a plum sauce that I was glad did not come across as competitive with the spring roll. 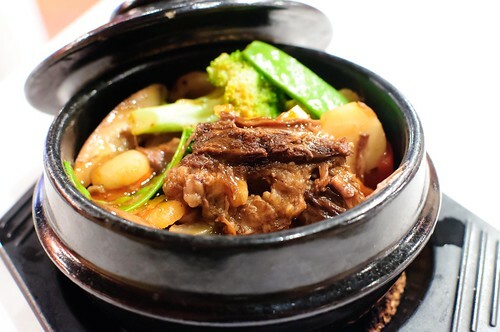 You would be surprised at how some chefs can make the accompaniments more appealing to the palate than the main dish. Where I frowned was with the sprinkles of peanuts on the dish. 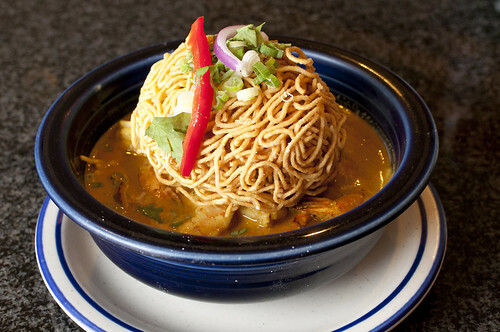 The good thing is that they made the dish photograph well. However, I shook them off without complaint and commenced to gnashing away on the spring rolls. 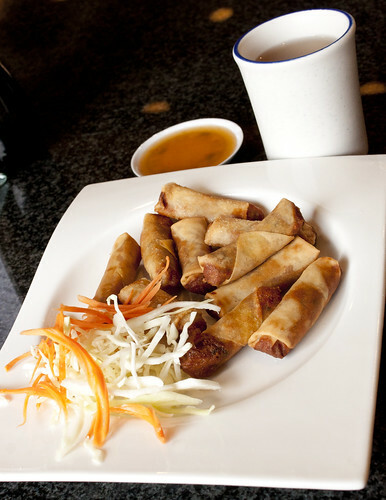 My second course was a plate of egg rolls that I had to eat in the traditional manner. The egg rolls were mixed salmon and dill within the rolled, crispy pastry. They came with lettuce, cilantro, cucumber, pickled carrots, and pickled radish. 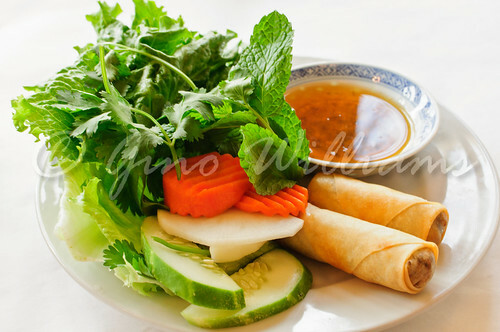 To eat the egg rolls, I had to roll them in the lettuce with the other vegetables and dip them in a fish sauce before having them suffer the chomp of my beautiful white teeth. 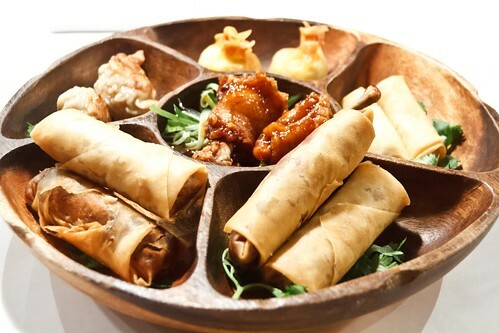 I have dined at countless Vietnamese restaurants in Chicago’s Little Vietnam and this is certainly the way you eat some of the appetizers. As high-end as Pasteur projects itself, there is perhaps a clause in their mantra that says they WILL retain authenticity. The third course was a curry shrimp soup. 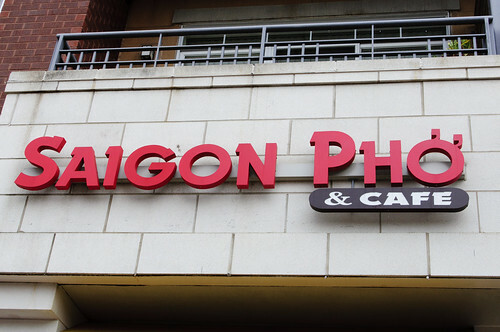 I know that this was not a traditional pho. And when I had asked the server if it was Thai, he assured me that it was Vietnamese. I guess there are similarities, but I won’t overgeneralise and say that the flavours of Thailand and Vietnam are synonymous. 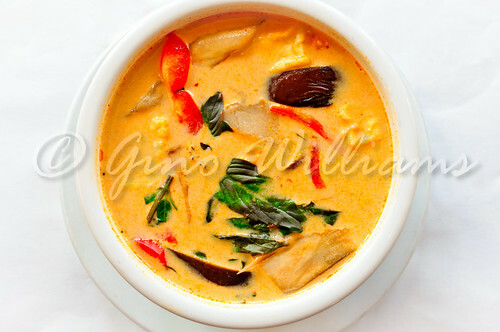 The soup reminded me of tom ka gai. I had shrimp in this curry soup rather than chicken and I was quite okay with that. When the server had inquired as to whether I was okay with my dishes being spicy, I had replied in the affirmative, so the soup had a bite to it that made the autumn nip outside bearable. By now, the party of four that had sat next to me had begun to eye me with suspicion. Not only was I snapping photos from every possible angle of everything that had arrived at my table, but I was eating all of it without a struggle. The fourth course was calamari and vegetables in a carved pineapple. 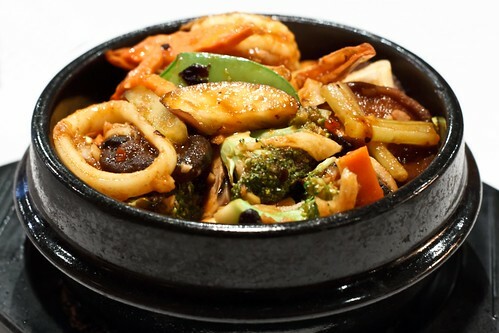 The calamari had been dipped in flour and cooked in a wok with a calamari soy vinaigrette along with mixed vegetables of red and green bell peppers, onions, mushrooms, and fresh lemon juice. The insides of the carved pineapple had been cut into chunks. There was a natural sweetness to the whole dish. When it had come to the table, I could hear my neighbours making remarks as quietly as they could. That looks so delicious. I couldn’t eat it because it looks like art that should be behind a red velvet rope. He didn’t eat all of that other food. I can’t stop looking. That’s a man who enjoys food. 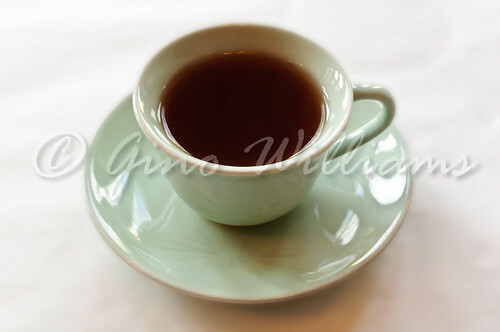 I assured them that I did indeed devour the previous courses, albeit slowly, thanks to the aid of hot ginger tea. Plus, this was nearing the two hour mark, so I had everything spaced out to allow my stomach to settle in between. That is what degustations are all about. 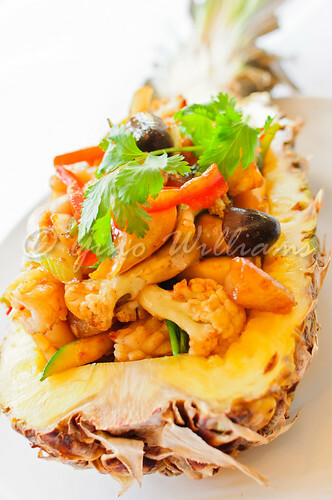 And the pineapple with calamari and vegetables met a slow end along with the cup of rice that had accompanied the dish. 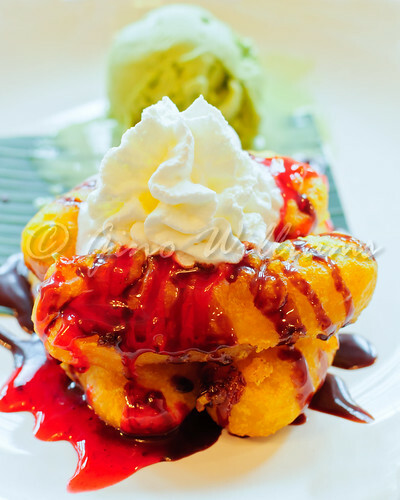 The fifth course was a plate of fried bananas drizzled with chocolate syrup and strawberry syrup and served with a scoop of green tea ice cream. 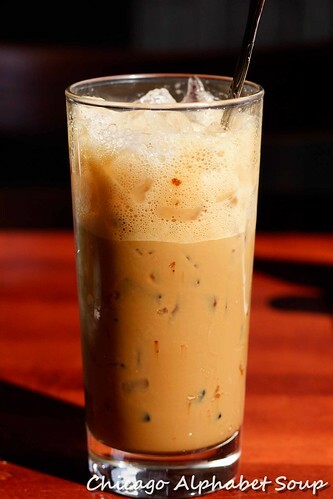 I have had this particular dessert at numerous Thai restaurants and while I cannot say that it is specific to Thai cuisine, I will acknowledge that it may be influenced by the palates of Asia. The bananas were sweet without the addition of sugar. The texture from having been fried was not such that you’d think the chef was thinking about frying chicken. It was crispy without being crusty. I loved the green tea ice cream, so rich, so creamy, so screaming “This was made with loose leaf green tea.” It may have been bought from a local Asian grocer and I don’t care. It was good. DO YOU HEAR ME? Because I was in a mood for food roulette, I may not have gotten anything with a true French influence. 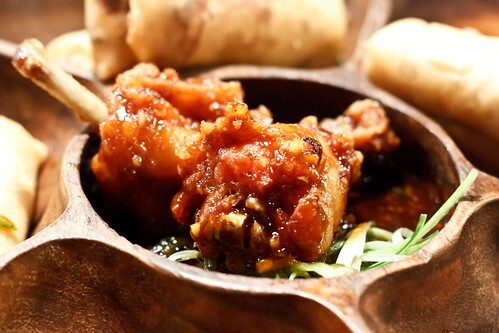 Then again, it may be that the chef is French and he or she has a great love for the flavours of Vietnam. 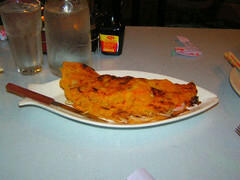 Instead of applying a fusion, the French aspect may be faint so that there are no competing ingredients in the recipes. My appetite didn’t complain. For the ambience, those who go ga-ga for aesthetics would love Pasteur. The price was so much less than what I had anticipated. The service was outstanding and I say this after my server had hit the right mark with every dish that came to my table. Remember, I simply gave my interests and let him come up with the courses. By the time I was ready to stumble out into the chilly temperatures of the autumn weather, the restaurant had filled with several patrons who were making their growling bellies shut up. And before the party that sat next to me left, I took a picture of them. I used their camera, of course. Here is the scenario. It was raining. And my stomach was growling. It’s autumn and with the wind blowing off of Lake Michigan, chilly temperatures were a given. I am a man of easy appetite, so I guess that’s a given also. I’m also adventurous and that meant trying another restaurant that had many of my friends staring at me in complete bewilderment. My friend, another friend of ours who is a fan of good eating and drink, and I went out for some Vietnamese food in Chicago’s Uptown. Tucked sniffing distance from the Argyle Red Line stop on 1104-06 W. Argyle Street, we got out of the chilly, rainy air and decided to do something about our constant growling bellies. We didn’t waste any time figuring out what we wanted. We’re not fashion models concerned about meeting some agent’s demands for size control. [Well, I was once a fashion model, but now I’m a man of easy appetite. Oh, I said the latter already.] Anyway, we started with goi cuon. 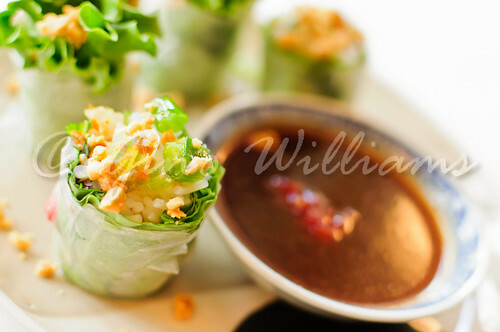 These spring rolls were filled with pork, shrimp, vegetables and vermicelli rolled in thin rice paper. Served up with a sweet sauce, it was tasty enough to make you want to start doing the happy dance. 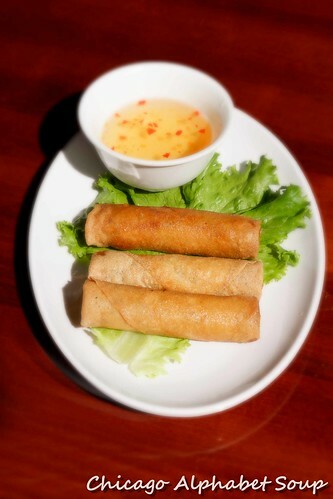 We also had cha gio, which were Vietnamese egg rolls. I will never eat another Chinese egg roll ever, not after savouring the goodies. 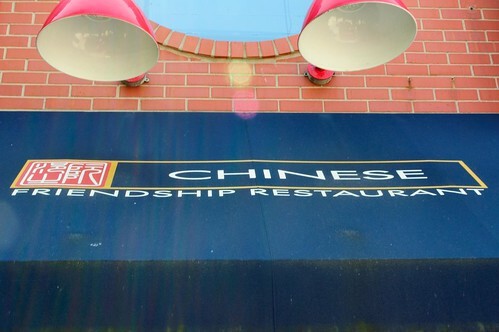 Oh, wait, I had sworn off restaurant Chinese food after my first room-mate post-college had his parents over and they cooked dinner. You haven’t had good Chinese food until you’ve had some Chinese ma and pop in your kitchen doing it right. But I digress. There was room on the table and we couldn’t have that. 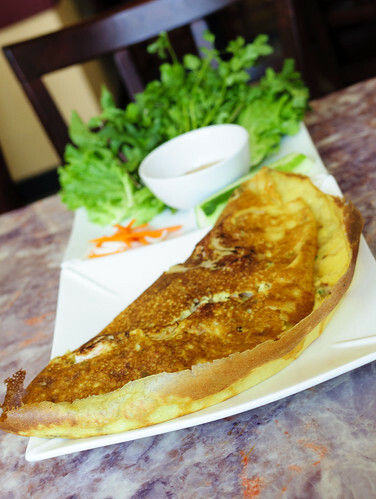 We ordered a banh xeo, a Vietnamese pancake with bean sprouts, pork, shrimp, and apparently a lot of love. That thing was on the table all of a good five minutes. All we left on the plate was the knife we used to divide it among ourselves. 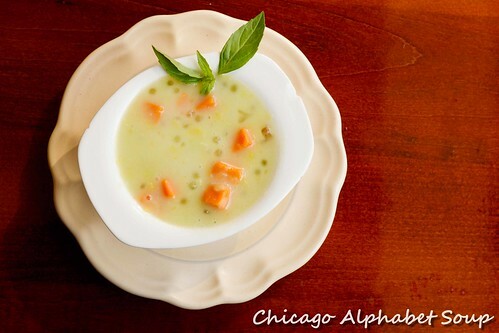 With the weather being dreary and wet outside, we also figured that a big bowl of soup would really go over well. Chicken noodle soup? No. Campbell’s tomato soup? No. Progresso? Hell no! Vegetable soup from a can? No, no, no! 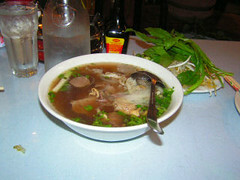 We had authentic Vietnamese danger soup, not for the faint of heart. 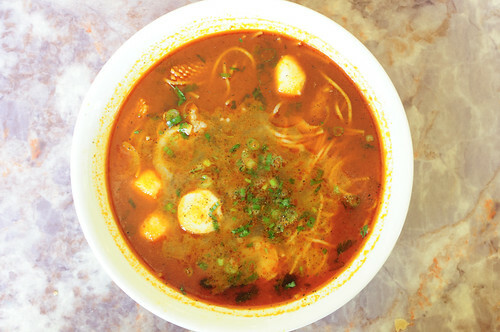 This was a mild yet spicy soup that had a thin broth, thin rice noodles, meat balls, chicken, and — clutch your pearls — tripe. 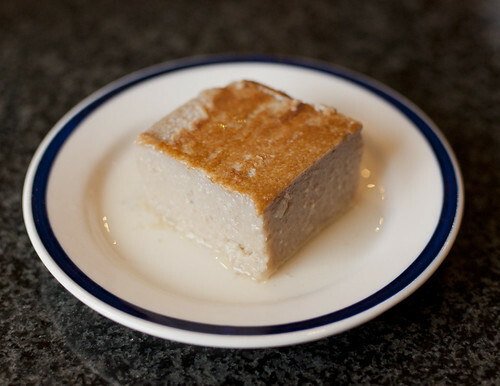 You can’t go to a Vietnamese restaurant and not partake of a delicacy true to the land. No way! The waitress had warned us that Americans are not a fan of the soup. Now that I think of it, that may be the reason why we ordered it, because we didn’t want something tempered for the American palate. I still won’t eat anyone’s chitterlings, but I will go back to this restaurant and have some more of the soup. Having finished off the appetizers and soup, it was then time for the entrées. 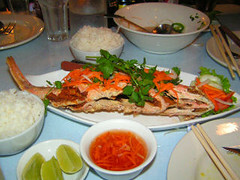 Because the portions are so huge, we ordered two large dishes of ca hong chien nuoc mam and ga xao sa ot. The ca hong chien nuoc mam was a fried red snapper that was so meaty that I wanted to catch a flight back to Jamaica for some red snapper, rice and peas, plantain, and ginger beer. Um, um, good! 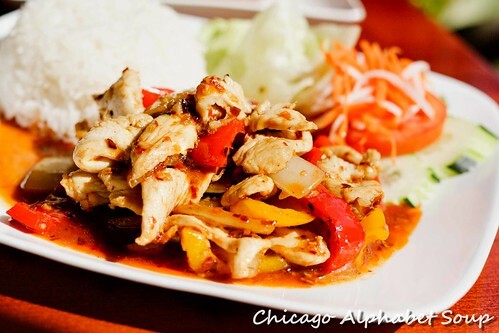 The ga xao sa ot was sliced chicken with garlic, lemon grass, and chilli, served over steamed white rice. Rarely have I had any lemon chicken prepared to such perfection as to have the meat fall apart when you stick a fork in it. 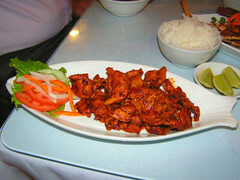 Tien Giang did an outstanding job in its preparation of the chicken dish. 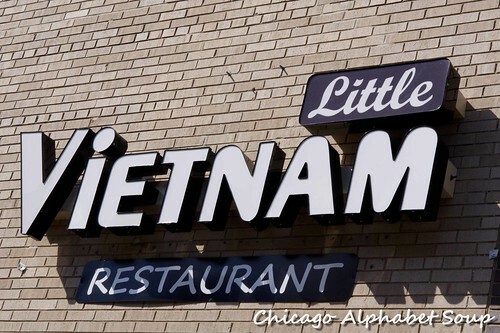 The Argyle/Broadway location on Chicago’s North Side is well-known for the many Vietnamese and Thai restaurants. 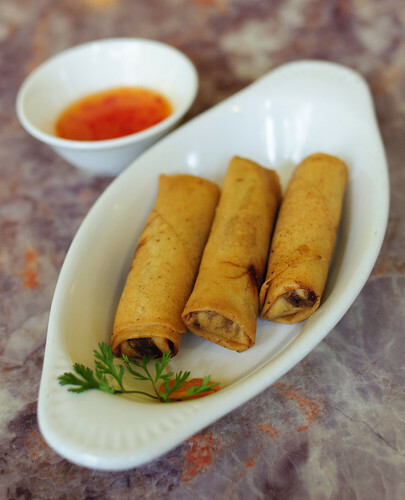 You can find just about any one of the two on any corner and in between and you can also find them filled with other Vietnamese and Thai patrons, a true indication of the authenticity of the restaurants. 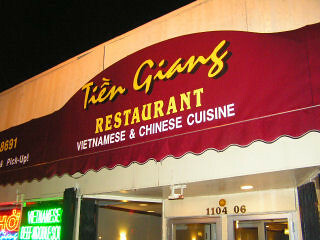 We had no particular restaurant in mind for this dinner outing and because we picked Tien Giang on a whim, it made the dining experience that more enjoyable. The price of the entire meal was not one to have us chopping the tables in half. The service was absolutely great. [I could name numerous restaurants that could take notes.] And the food was outstanding. 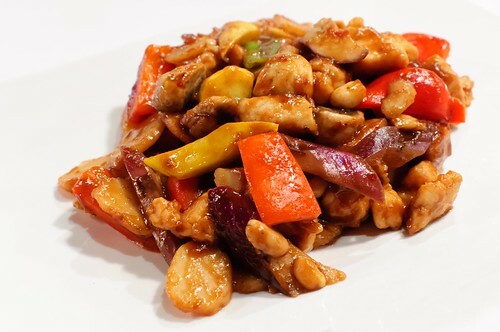 This was a winner in ever since of the word, says the man with an easy appetite.